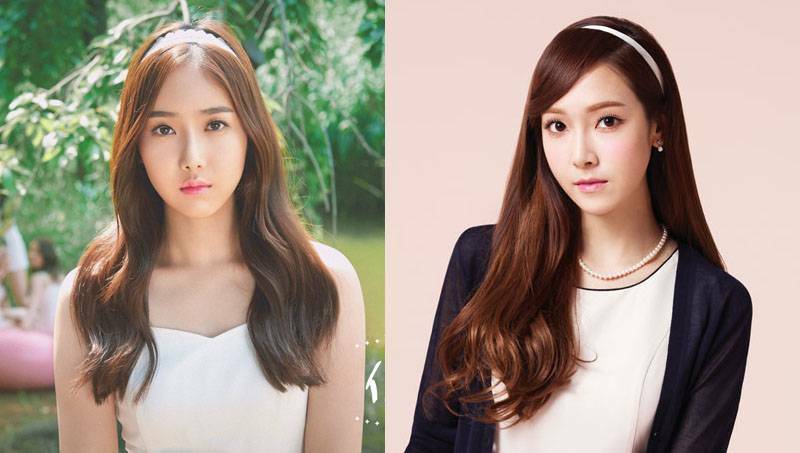 Let’s Compare GFriend’s SinB and Jessica Jung’s Photos That Make Them Look Like Long Lost Twins! 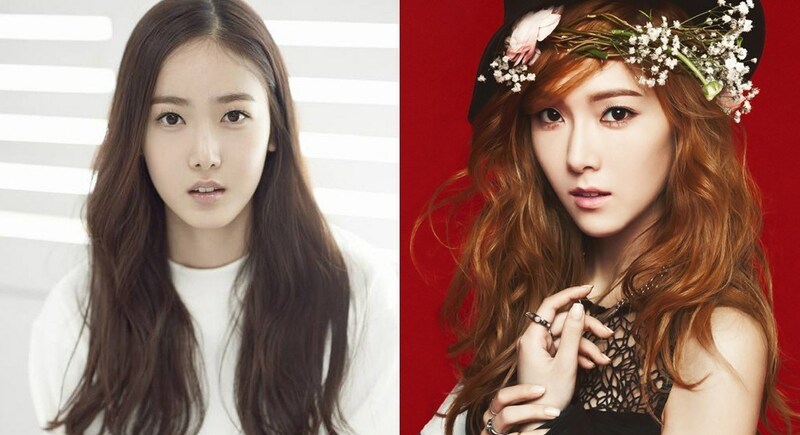 GFriend’s SinB and Jessica Jung: Long Lost Twins? Some people say that there are seven people in the world who look exactly like you. That theory doesn’t just apply to regular people, but also to celebrities. 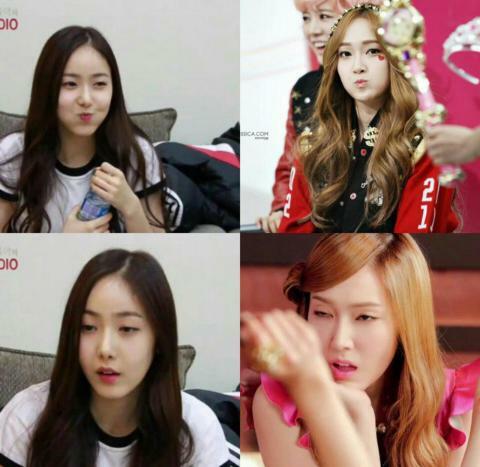 A lot of people have noticed that GFriend’s SinB looks a lot like the ex-Girls’ Generation member, Jessica Jung. You read it right. These two beautiful girls do have a real resemblance to each other. Still don’t believe it? 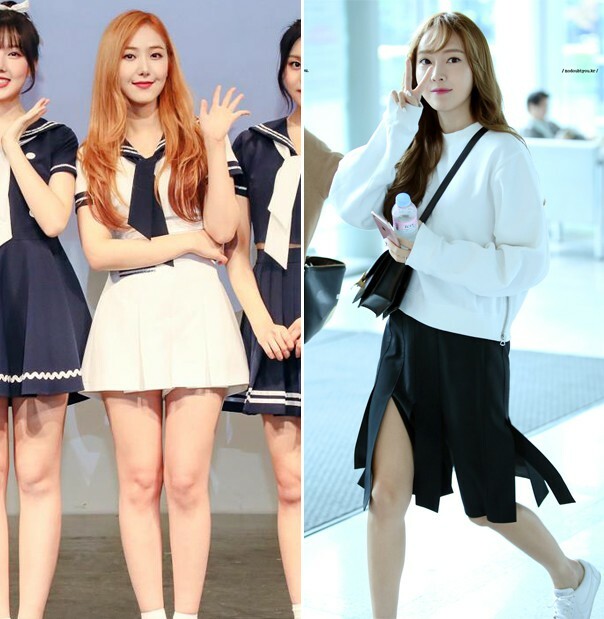 Since her debut with the girl-group GFriend, SinB gained attention because of her resemblance to Jessica Jung. 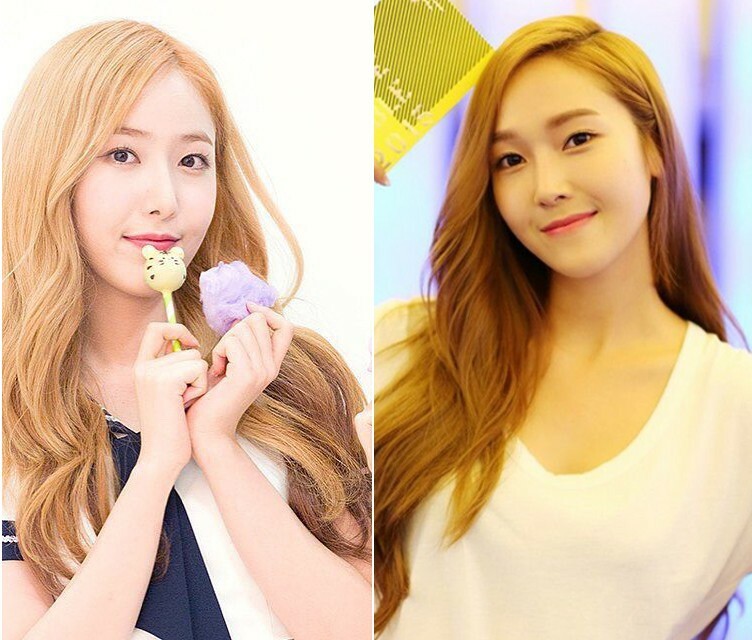 Some people called her ‘Jessica’s Copy’ due to their similarity. In an interview during her time in Girls’ Generation, Jessica Jung and the other Girls’ Generation members were asked to answer 100 questions. One of the questions was what name would each of them give to her child. Jessica Jung answered that she would give her child the name ‘Shin-bi’. Many netizens speculated that it was Jessica Jung’s answer which was the reason GFriend’s agency started using the stage name ‘SinB ’ for Hwang Eun-bi (SinB’s real name), even though it was very likely just a coincidence. 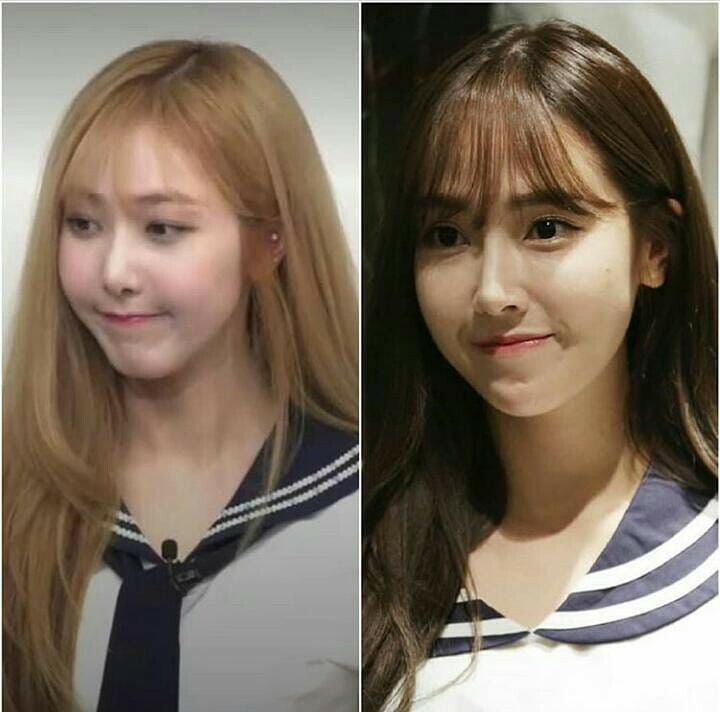 Because the resemblance between ShinB and Jessica Jung was so uncanny, many people even said that SinB’s face looked more like Jessica Jung than like her real sister, f(X)’s Krystal. During one of GFriend’s ‘Fingertips’ shows, SinB wore a military-inspired army green outfit. 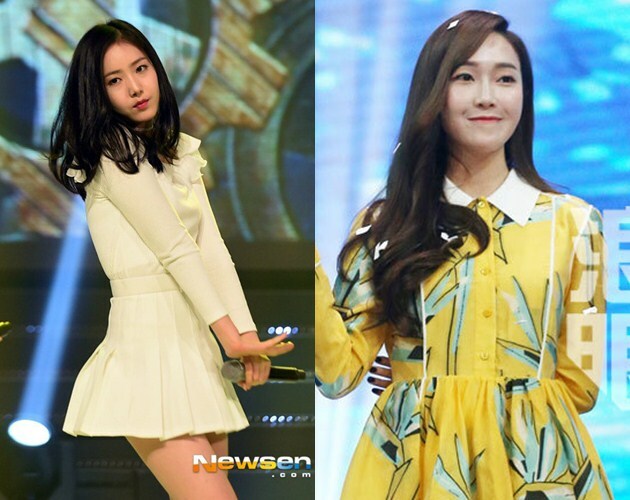 Her outfit reminded netizens a lot of the outfit Jessica Jung wore during the Girls’ Generation’s ‘I Got A Boy’ show. At the time, she wore an army green jacket. 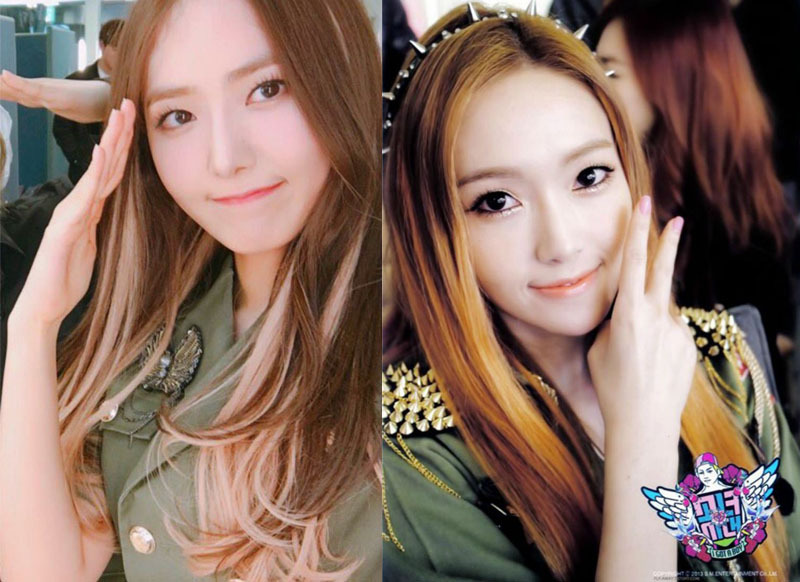 Besides her outfit, SinB has also imitated one of Jessica Jung’s signature hand gestures. In one of GFriend vlogs, the members were jamming in the car, to Girls’ Generation’s ‘I Got A Boy’. When it got to Jessica Jung’s iconic line, “Don’t stop! Let’s bring it back to 1:40,” GFriend’s SinB and Eunha made the “V” gesture that Jessica did whenever she sang that part. Many were astonished at how SinB’s imitation looked compared to the original, due to the similarities. During GFriend’s showcase in Japan in March, 2018, SinB, who has been attached to dark hair since she debuted, dyed her hair blonde. The color helped to make her skin look whiter and emphasize her small face. 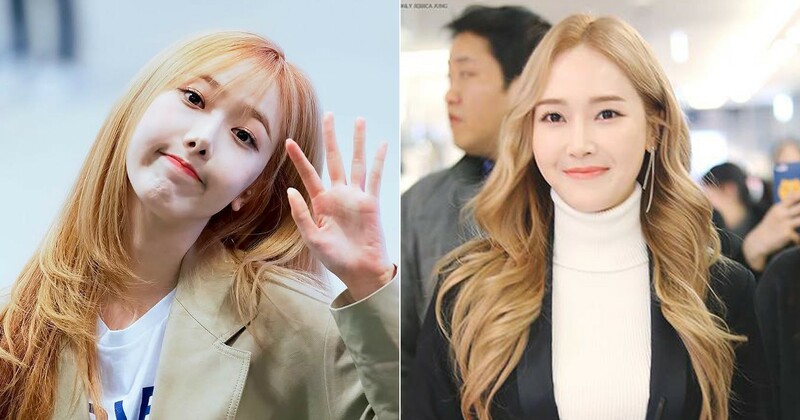 In addition, many people were shocked to realize that the new dye job made her look even more exactly like Jessica Jung. From the pictures above, we can see how much the girls resemble each other. 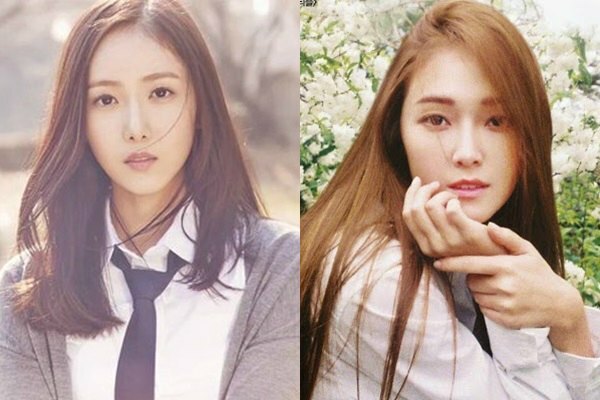 If you’re fans and know more about them, however, you can tell them apart easily, since GFriend’s SinB and Jessica Jung each have their own unique beauty. Don’t you agree?